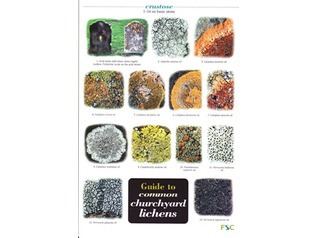 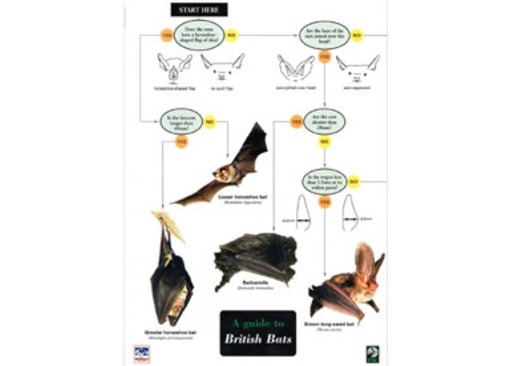 Need an identification guide to bats? 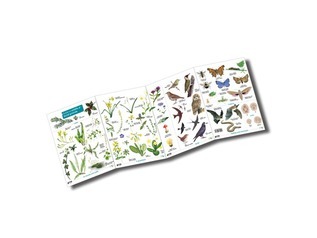 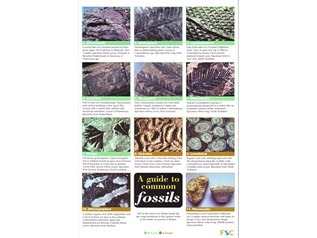 This 8-panel laminated fold-out chart includes all 16 species of bats that live and breed in Britain. 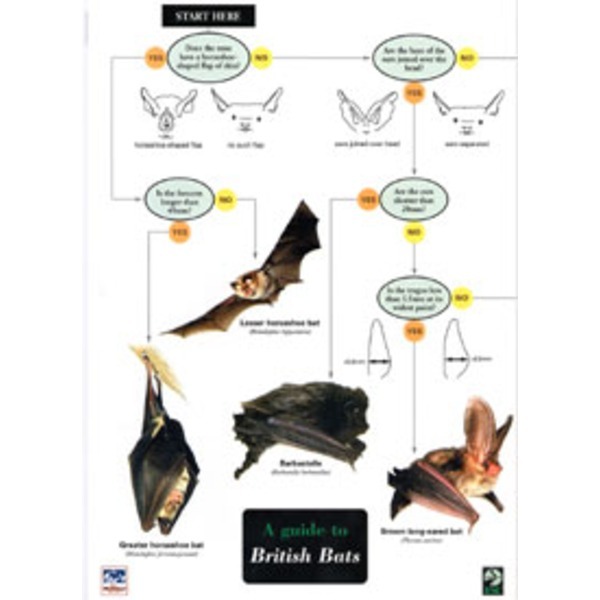 Produced in partnership with The Mammal Society, it has two parts; a guide to bat identification in flight using bat detectors and flight patterns; and a key for bat identification in the hand.